According to mythology, before the arrival Tomanurung in place that later became part of the kingdom of Gowa, was formed nine autonomous government called Bate Selapang or Kasuwiyang Salapang (combined / federation). Nine autonomous government is Tombolo, Lakiung, Parang-Parang, Data, Agang Jekne, Bissei, Kalling and Serro. At first, the ninth of this autonomous government coexist peacefully, but, over time, disputes arise because of kecenderugnan to show courage and spirit of the expansion. To resolve this dispute, the ninth of this autonomous government then agreed to choose a leader among those who were given the title Paccallaya. It turned out that rivalry does not end with this agreement, because each region Bate Selapang ambition is to become chairman. In addition, Paccallaya was also not able to solve the problems that occur. Until one day, news came that in a place called Taka Bassia in Bukit Tamalate, attend a daughter that emits light and wearing a beautiful pendant. Heard there was a princess in Taka Basia, Paccallaya and Bate Salapang went there, sat around tafakkur light. Over time, the light is transformed into a beautiful woman, an unknown name and origin. Therefore, they call it Tomanurung. Then, along Paccallaya Kasuwiyang Tomanurung Salapang told that, "we all came here to raise you to be our king, may you stay in our country and sombaku who ruled us". After their petition was granted, Paccallaya rose and exclaimed, "Nu Karaeng Sombai To Gowa (King O Worship the people Gowa). Not long after, there came two young men named Karaeng Bayo and Lakipadada, each carrying a saber. Kasuwiyang Paccallaya and then express their intent, so Karaeng Tomanurung Bayo and can be married so they could continue their descent Gowa royal government. Kemudain all parties there made a vow that essentially regulate the rights, powers and obligations of those who govern and the governed. The provision is effective until Tomanurung and Karaeng Bayo disappeared, when their only child born Tumassalangga Baraya. Inlah single child who subsequently inherited the kingdom of Gowa. Gowa kingdom reached its golden peaks in the sixteenth century which is more popularly known as the royal twins "Gowa-Tallo" or also called zusterstaten (royal brothers). Single dual-kingdom are formed in the reign of King of Gowa IX, Karaeng Tumaparissi Klonna (1510-1545), and this is very difficult to separate because the two kingdoms have declared the pledge together, which is famous in proverb "Na Rua Karaeng Se're Ata" (" Two King tetapai one of the people "). Therefore, the unity of the two kingdoms called Kingdom of Makassar. Heyday of Gowa Kingdom is inseparable from the role played by Karaeng Patingalloang, ruling the kingdom Mangkubumi 1639-1654. His full name is I Mangadicinna Daeng Sitaba Sultan Mahmud, the son of King Tallo VII, Mallingkaang Nyonri Karaeng Matowaya Daeng. When King Tallo I Mappaijo Daeng Manyuru Tallo was made king, he was only one year. Karaeng Pattingalloang appointed to run its power until I Mappoijo old enough. Therefore, in some documented that Karaeng Pattingalloang is King Tallo IX. 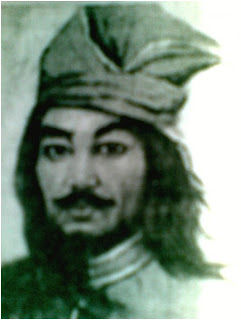 Karaeng Pattingalloang appointed as the kingdom of Gowa-Tallo Mengkubumi in 1639-1654, accompanied Malikussaid Sultan, who ruled in 1639-1653. Karaeng Pattingalloang, Tumabbicara Butta inducted into the Kingdom on Saturday, June 18, 1639. Position was acquired after he succeeded his father Karaeng Matowaya. At this time served Mangkubumi, Karajaan Makassar has become a famous kingdom and invite the attention of many other lands. Karaeng Pattingalloang Gowa was the son of a genius or his skills exceed those Bugis Makassar in general. In the age of 18 he had mastered many languages, including Latin, Greek, Italian, French, Dutch, Arabic, and several other languages. It also deepens astronomy. The Dutch government through their representatives in Batavia in 1652 presented a globe (globe) that are specially made in the Netherlands, the estimated cost f 12,000. He died on 17 September 1654 in Kampong Bontobiraeng. Before his death he had prepared 500 ships, each of which can contain 50 crews to attack Ambon. Karaeng Pattingolloang is also an international businessman, he along with Sultan Malikussaid teamed up with large employers Pedero La Matta, Spanish trade consultant in Bandar Somba Opu, and with an eminent Portuguese sailor named Francisco Viera with Figheiro, to trade in the country. Karaeng Pattingalloang successfully develop / improve the economy and trade in the Kingdom of Gowa. In the town of Kingdom Somba Opu, many traded silk, Chinese ceramics, Indian cotton cloth, wood Sandalwood East, spices Moluccas, and Borneo Diamonds Diamond. In the European traders who come to Makassar usually bring fruit hand given to princes and noblemen in the kingdom of Gowa. The fruit was hand often also be adjusted with a message that is deposited when they return to their places of origin. Karaeng Pattingalloang fruit hand when asked what he wanted, the answer is the book. It is therefore not surprising that Karaeng Pattingalloang have a huge collection of books of various languages. Een gansche werelt valt te klein "
"The person whose mind is always and continuously seek so that the whole world seemed too narrow for him". 5. Punna taenamo nakamaseyangi atanna Mangguka. 5. If the king who ruled his people no longer cared. He died when it joined the ranks of the Sultan Hasanuddin against the Dutch. After his death, he then gets the title "ri Tumenanga Bonto Biraeng". From the standpoint of terminology, there is no chance (consensus) that explains the meaning of the word Gowa whole origin of the word uptake Gowa. Meaning there are only assumptions and estimates include: first, the word comes from Gowa "goari", which means the room or cubicle / perhimpun; second, derived from the word "cave", which means the burrows that relates to the first occurrence of Gowa Tomanurung ri ( King of Gowa I) in the cave / hills Taka Bassia, Tamalate (in Makassar means not wilt) which then politically Gowa word used to integrate the ninth kasuwiang (Bate Salapang) which is under paccallaya federation, which later became the sole power Tomanurung, so Bate leburlah Salapang into the Kingdom "Gowa" which is estimated to stand in the thirteenth century (1320). 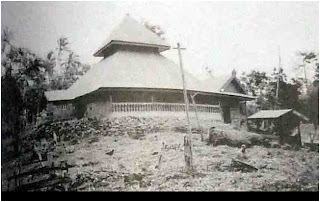 Until the reign of King of Gowa VIII I Pakere 'Tau Tunnijallo Passukki ri, the royal government was centered in Taka Bassia (Tamalate) as the palace of the King of Gowa I. Then the king's palace was transferred to the Somba Opu by the King of Gowa IX Daeng Mantare Karaeng Mengunungi who holds Tumpa'risi Kallonna because it is considered more profitable and strategically as a royal progress in the field of economics and politics. During this period the kingdom of Gowa began to expand his power and conquered many surrounding areas including cooperative relationships and agreements with other kingdoms. This lasted until the King of Gowa XII, I Manggorai Daeng Mammeta Karaeng Bonto Langkasa (1565-1590). Ambition is what makes the kingdom of Gowa-Tallo a great empire. Bandar had become the world's commercial airport stopover very advanced because it has a range of facilities as appropriate of other major countries in the sixteenth and seventeenth centuries. At that time the government is running an open political system based on the theory Leberum Mare (seas), which gives businesses jamina foreign traders. However, the ambition that is what creates the competition that is hidden (latent) when they want to hold hegomoni and zuserenitas in Sulewasi, especially the rivalry with the kingdom of Bone. When the competition was peaking, the Netherlands exploit the situation by launching a political divide et impera (divide and rule) and implement the system of monopoly which is contrary to the principle of mare liberum Makassar until the outbreak of war (1666-1669). On the other hand, Islam is one reason Bone resistance when trying to introduce Islamic religious Gowa. The effort was initiated by the King of Gowa XV I Mangerangi Daeng Manrabbia Karaeng Lakiung title of Sultan Alauddin Tumenanga Gaukanna ri (1593-1639) who became Muslims on 9 Jumada H 1051 or 20 September 1605. He tried to realize the unification of Sulawesi, but not realized until the reign of Sultan Hasanuddin (1653-1669) ended with Bungaya Testament on 18 November 1667 after the Battle of Makassar. LOE Karaeng Sero & BATARA GOWA RI. Both sons are Somba each has a very brillyant leadership talent, love each other and support each other in any case. But that is exactly what makes the Somba a dilemma. He became concerned when one of his sons removed it will make the other son to be disappointed, because they both satisfy the requirements of the criteria to be a substitute for the King. Somba the turmoil seems to be read by his son Karaeng LOE sero RI. Without waiting for a time, he invites his brother to discuss the Somba solve problems, after the two reached an agreement, the Firstborn of the Somba and brought his brother to face his father. LOE Karaeng RI sero then declare to the Somba, that he handed the reins of the kingdom of Gowa's highest leadership to his brother, BATARA GOWA. Relieved to hear her son had agreed he was focusing his succession to the BATARA GOWA. But he escaped the attention of the burden of a lump hearts Another son because no matter how he is also entitled to the throne. 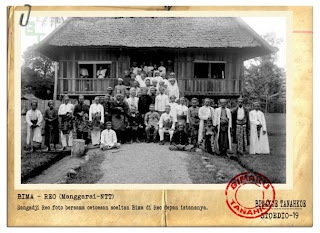 Therefore after the Somba Tunatungka Lopi died and was succeeded by his brother, Karaeng LOE RI Sero went sailing into the land of Java and neighboring countries. After all those years of wandering, RI sero Karaeng LOE and his followers were amazed surprised to see a change in his homeland. Some areas that when he was a prince in Gowa, has been taken over by other Gowa nobles nobles Somba BATARA GOWA permission. Reluctant to make an invasion, he and his loyal followers to continue the journey into one area Gallarang / Karaeng palili (little king) of Bira, Bira ri Karaeng Loe. A village named village Batua. They also agreed to clear the forest TALLOANG located near the river Bira. The name of this forest which later became the forerunner of the name of the Kingdom of Tallo. Locations were chosen because the topography is supported by the Sea and large river, is a potential to become a great empire (this prediction proved later). After determining whether a good day and month, was chosen a sacred site because there is a stone commonly performed as a mediator of local people taking the energy of the Gods, called stone PALANTIKANG. 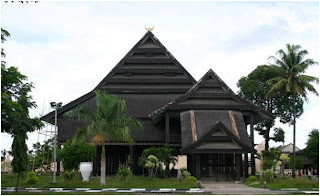 Talloang forest Dibekas erected a palace which was designed in such a way almost similar to the royal palace of Gowa, but not intentionally so as not to impose dignity dimiripkan Balla Lompoa palace in Gowa. The palace was then given the name Balla SIPOLONGA. The spiritualist 7 Gallarang also preparing heirloom heirloom that will be used in the inauguration, in order to preserve the value of the coronation of the sacred and supernatural gives strength to the king, remembering the trust was borne of a king is not the mandate lightly, but the mandate of the people and the trust of ancestors who must be accountable before the Gods single (according to religious affiliation at that time). LOE Karaeng RI sero crowned in 1415, became king of Tallo I, he make a covenant with the kingdom of Gowa to be twins "rua Karaeng se're ata" (two king but a servant). To further strengthen ties between the two royal twins are, King Tallo then then raise an oath of allegiance of the people Tallo, which reads: "henna na nai ampasiewai Gowa Tallo, puppuru ki massurokau, tammacu'lang, tamattangke" (He who pitting Tallo with Gowa kingdom, will be cursed by the Gods to the child's derivatives). King of Gowa was crystallized recognition of the sovereignty of Tallo, by sending one of the royal treasures, titled "Tanru Ballang", legacy Karaeng brother Bayo (TUMANURUNG husband, the first King of Gowa) called LAKIPADADA. Initially, each was the Prime Minister (Tumabbicara Butta) kingdom of Gowa, then they named the Somba in Gowa. Because in the systematics royal genealogy, if there is no heir to the throne Gowa - Tallo, then sought the closest blood ties of the King / Somba JAR. Or traced the lineage, that the nobility of the highest levels of all existing Duke. Like when a vacancy occurs leadership of Gowa. One nobleman Tallo I Mallombassi Mattawang Daeng, Karaeng Bontomarannu, Tumenanga ri Pangka'na Balla, or better known to us as SULTAN HASANUDDIN (1631-1670). Crowned the Somba in Gowa. Not because he was crown prince (Pati Matarang), but because once traced the pedigree, his nobility of the highest levels, so that she who was named the most eligible ri Somba of Gowa (Ana 'Pattola). According to the facts that were examined by scholars of Islamic history was first entered in Sulawesi, stems from the kingdom of Tallo, who at that time led by the king Tallo to VI I Mallingkaang Mannyonri Daeng, Karaeng katangka / Karaeng Matoayya (1593-1623). Syahdan three consecutive days, my king Tallo VI is a dream to see the light shining up from Tallo. Beautiful light sheen that radiates throughout Butta Gowa and to other neighboring countries. Simultaneously on the third night, on the shoreline of a small boat docked Tallo. The screen is made of a turban, flying fast. Male figure appears out of the small boat, and moored his boat, then do strange movements. The man turns to prayer. Light emitted from the body Ielaki it makes the appalling sights Tallo population, up to the ears of King Karaeng katangka. In the early morning, the king rushed to the beach. But suddenly he had already appeared "blocked" at the gates of the palace. With a white robe and green turban and a shaded face, his whole body emits light. The man then shook hands with Lord King was shocked rigid due to amazement. When the grasping hand of the king, he then wrote a sentence in Arabic (Creed) in the palm of the hand Majesty, and said: "Show this article on the man who soon came docked at the beach." After saying, then he just disappeared. Majesty the King back aghast. He rubbed rubbing his eyes to make sure he was not dreaming. He saw the palm of his hand, the writing was clear. Sire Karaeng Katangka then hurried to the beach. Sure enough, a man appeared to tie up the boat and welcomed his arrival. Long story short, the king was told of his experiences and show the writing on the palm of his hand. The man also said: "blessed are the king. This paper is a two-sentence creed, "he said. "And as for the man who wrote in the hands of the king is the Prophet Khaidir Alaihissallam. Be thankful for the holy Prophet has appeared in The King, "the man said. This event was later given the name "Akkasaraki Nabbiya". That is, the Prophet appeared. The men who landed on the beach Tallo was appointed by the Prophet is the Sole Khatib Abdul Kadir who is known as Dato Patimang. Majesty the King of Tallo, I Mallingkaan Daeng Manyonri Karaeng Katangka own after embracing Islam, then the title: Sultan Abdullah Islam Awawul Awaluddin, Tumenanga Agamana ri. He is the first king who embraced Islam was first on the plains of South Sulawesi. Precisely on September 22, 1605. He then explore Islam and invite Somba of Gowa to immediately embrace the new religion. Somba in Gowa very enthusiastically accepted the invitation of Prime Minister. I Mangngerangi Manrabbia Daeng, Tumenanga ri Gaukanna who reigned in the year 1593 to 1639. He became the first Somba embraced Islam in the same year. Right on Friday night, he had been inducted by Abdul Al Khatib Mukarramah Makmur, Dato Bandang Ri, who originated the City Minangkabau. The next day, he immediately joined the Friday prayer in the mosque berjamah Tallo. He then holds the Sultan Alauddin. Even after the Islamic steeped for some time, he also determined that the religion of Islam became the official religion of the kingdom of Gowa - Tallo. Both the king has also formed a team that was sent to the royal kingdom royal colony and friends, inviting them to embrace Islam. Since then, slowly but surely spreading Islam in the kingdom of Gowa sebahagian - Tallo until now. Syahdan in battle, my king I Mallingkaang Mannyonri Daeng, Karaeng katangka (Karaeng Matowayya), while helping maintain Gowa kingdom boundaries of fierce enemy resistance, the troops had overwhelmed Tallo separate from the parent so that troops and supplies. However Karaeng Katangka with troops still take the fight to beat back the enemy. Having defeated the enemy forces, then Kareang Katangka mengistrahatkan troops already looks tired, let alone that they are far from energy supplies severely depleted forces and troops separated from the parent. When he joined haven to restore power, suddenly without being noticed where it came from, a huge white tiger (Macang bed and board), appeared before him. The keris wielding Gallarang simultaneously preparing to protect their King, namunpun their labor has been exploited by the fighting. But the courage and the mental warrior does not recede. Karaeng Katangka very famous for its discretion, see p. implied from the appearance of a white tiger, soon to prevent his troops to action. He said even if it did this tiger was about to harm us why he just sat down with reverence?. then with jelly He saw that in fact there is a body that was bitten by the tiger. Karaeng Katangka then stood up and approached the white tiger, the tiger not to attack but rather the subject with reverence, as if saluting the King Tallo. Later in the white tiger respect menghapiri Katangka Karaeng foot, put right things that bite in front of his feet, then stood back with reverence as if he knew that the figure diahadapannya is a King. Karaeng Katangka with the wisdom he has spiritually then try to find answers to fonomena berkontenplasi was before him at that time. After receiving an answer in kontenplasinya then he understood that the white tiger before him, was sent by Gods to bring medicine for single men, form sprig of wood that was taken the Tiger, named "timber sito'baka". Point to immersed in water and then drunk on his troops. Seeing Karaeng Katangka has got an answer, the white tiger is then as if saluting again, then retreated a few steps, then instantly disappeared from sight. Karaeng Katangka immediately follow the directions which he gained. After his troops drink water immersion sito'baka wood, suddenly abrupt strength and spirit of the war they recover. King Tallo immediately led his troops to immediately return to the parent troops to continue fighting. Since the event was amazing, Karaeng Katangka then held MACANG KEBOKA RI Tallo (white tiger from Tallo). A banner was also made for the troops Husus who was then led by him. Bannerman was named BATE MACANG Kebo, according to the events through which the King fonomental Tallo white tiger with his troops to meet the carrier's blessing. In the next period, forces under the umbrella banner of MACANG KEBOKA, highly respected by his opponents and friends. Tallo royal banner is a picture of sunrise with rays of a total of 11, representing the King and council Gallarang Gallarang tujua & Appa 'na Tallo, amidst the center by Sultan Abdullah added Moon & Star logo as a symbol of the Islamic empire. Bannerman was then called Leko Cakkuridia. When sebua big event held by the empire of this twin, then both the royal banner of Tallo (Cakkuridia & Macang bed and board ') paired with two royal banner of Gowa (Sulengkayya & Garudayya), as well as with both royal heritage Sudanga & Tanru' Ballanga, juxtaposed as a symbol of unity both kingdoms. Filosophy who handed down this is still guarded by the derivative of the Kingdom of the twin children, kinship values ​​clearly visible. Unity among the aristocrats who became an example in the generation after generation. King Tallo XIX, Andi Oddang Daeng Pabeta Karaeng Cerana as heir to throne now ancient monarchy, the royal custom was crowned by the Board of Tallo Gallarang Gallarang tujua & Appa 'na Tallo, selected through a map tracing the genealogy of the royal family and the part of father and mother. Bingung Mencari Situs Yang Tepat & Aman....?